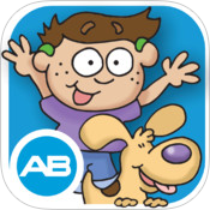 New from AB, AB Listening Adventures is an engaging rehAB app providing children with a fun way to practice listening for words in sentences. Download it now for $1.99 from the iTunes® app store. Learn about this and all AB’s apps here. MED-EL USA announced today the launch of the game Continents & Oceans designed to test and improve listening skills for people with cochlear implants. The free app is the latest offering from MED-EL’s BRIDGE to Better Communication support program. Continents & Oceans is a free app available through the App Store and Google play. Links to download the game are also available through MED-EL’s website, www.medel.com. This entry was posted in News and tagged Advanced Bionics, cochlear implant, MED-EL, rehabilitation apps by CochlearImplantHELP. Bookmark the permalink.